Skynet Worldwide Express Dubai, Skynet Courier Tracking Dubai. Separate multiple tracking numbers with a return or enter. You can enter up to 50 Shipments or Reference Numbers. Shipments are collected from the Customer’s premises (commercial or residential) and forwarded via the fastest and most reliable route to the destination Airport, Customs cleared and delivered to the final Consignees in more than 200 Countries Worldwide. Shipments picked up from more than 200 Worldwide Countries on behalf of the Customers in U.A.E. and safely delivered to the doorstep of the Customers, through a well-coordinate Network of Agents with proven Customs expertise and an efficient and reliable track & trace System. Shipments are collected from the Customer’s premises (commercial or residential) in U.A.E. and delivered to the final Consignee within U.A.E. Customized Services are provided to Customers as per their requirements like Inter U.A.E. Express deliveries, Mail Room Services, Inter U.A.E. Routed Collection Services. Total fulfillment & Distribution Services offered via Warehouse Management System, in a dedicated and secure Warehouse managed by experienced personnel. Also specialized Services such as Embassy Services, Online purchasing & E-commerce Services (Domestic & International) are offered. Guaranteed deliveries with speed and accuracy. Collections & deliveries arranged at your convenient time and desired location. 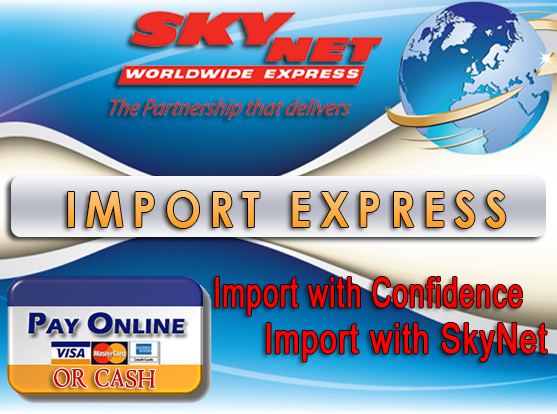 SkyNet Worldwide Express is a Multinational Organization and a leading Worldwide Courier Operator. 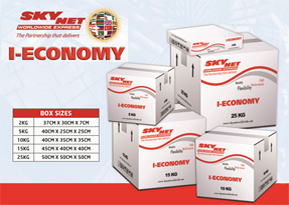 SkyNet Dubai is the Regional Hub of the SkyNet Network in the Middle East, North Africa Asian Sub Continent.